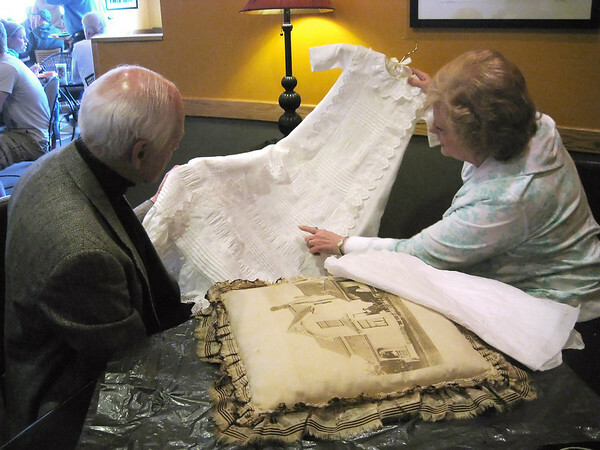 Tim Carroll and Mary Rademacher look at the christening dress Rademacher found at a garage sale. The dress came from the Wilhelm side of Carroll's family. A pillow depicting the family home is on the table.